The Volvo XC60: A Driver's Dream Or Are They Still Playing It Safe? Home Car Reviews The Volvo XC60: A Driver’s Dream Or Are They Still Playing It Safe? Aside from the news that they’ll be no more gas powered Volvos made by 2019; Volvo has been making waves in the news with the release of their XC90 and more recently XC60 SUVs. If you’re in the market for a substantial 4×4, but you don’t need the seven seats of the XC90; it might be worth reading on to find out more about the massively successful premium mid-size SUV. The bestselling car has grown in sales every year since its release date back in 2008 and incredibly accounts for over a third of Volvo’s sales. So it’s worth taking the time to learn if it’s the right vehicle for you, or you’d rather head into the showroom and test drive something else. From the outside; the new XC60 appears to be the perfect, sturdy family SUV. With a wider, longer and lower frame than its previous form; the car looks like it has plenty of room for all it’s passengers before you even step inside. Like most Volvos; there’s nothing spectacular about the bodywork, making it an inoffensive choice for the family market and their driveways. Some would say that they’ve played it safe with the exterior design; however, it boasts a classic silhouette that won’t date anytime soon. There are LED strip lights to the rear, which gives the car some character, and you could always visit somewhere for a custom paint job if you’re in the mood for something livelier. Check out some more flamboyant ideas at www.coolridesonline.net/custom-paint-job-week-3-craziest-muscle-car-paint-jobs and get some inspiration on what could be achieved if you’re feeling brave. The car’s interior is pretty immaculate and has plenty of leg and headroom for every passenger. A touchscreen on the dashboard ensure that the car is easily controlled, and there are plenty of USB sockets so the kids can stay entertained. Again, not groundbreaking, but functional and pleasing to the eye. You’ll have the option of a 2.0-litre engine in either petrol or diesel, and all models come with four-wheel drive and an automatic gearbox with eight speeds. It’s worth getting to know a professional company that can maintain your Volvo and you can look into more help at www.wcvolvo.com/west-county-volvo-service-department.htm so that you can eliminate any interuptions to the smooth running of family life and get to know your SUV better. Keeping on top of the maintenance of such a large vehicle will help to ensure that it lasts you and your family, and you won’t be trading it in for the next XC model anytime soon. Bear in mind that the wheel size can vary from 18 to 22-inch wheels; you’re better going for the smaller wheels for a smoother trip down the highway. 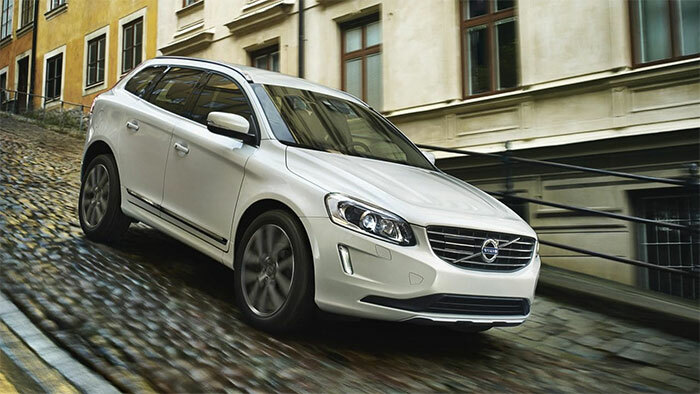 The Volvo XC60 will get you from 0 to 60 in 5.3 seconds and has a top speed of 140mph, which makes it feel like more of a driver’s car than simply a safe family option. However, your drive won’t be loads of fun, but will be smooth, comfortable, and safe; which is the main thing, especially if you’ve bought it for the school run. It’s also going to be a quiet drive along the highway, so if you crave the roar of an engine, this might not be the driver’s dream you’re looking for. The XC60 is a refined vehicle that will make a competent addition to your driveway; however, it’s not the choice for you if you want innovation and thrills.